As a hurried snack on the go whilst exploring the capital they might just hit the spot. When walking around Moscow city, tourists will notice clusters of kiosks lining the boulevards and crowding the subway station entrances. 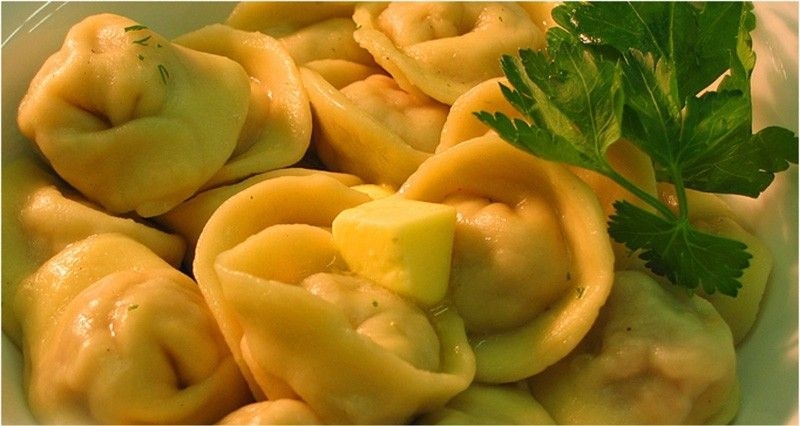 The kiosks specialize in various types of fast food, such as hot dogs (called “sasiski” in Russian,) pizza, shaurma and an array of Russian street food options like blinis (Russian crepes) and pelmeni (Russian Dumplings). Health-wise, these small vendor huts may not be ideal but as a hurried snack on the go whilst exploring the capital or as a guilty late night pleasure they might just hit the spot. 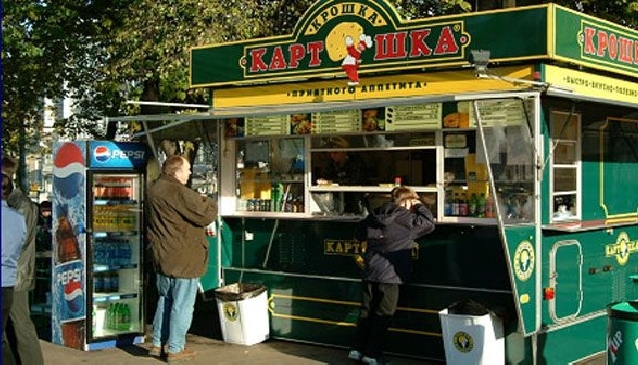 Kroshka Kartoshka is definitely the Russian tycoon of street food kiosks. It’s hard to walk through the city without noticing the friendly red and yellow logo of the fast food chain known as “the little potato.” Kroshka Kartoshkas are green kiosks that sell…well mostly potatoes, but the potatoes come stuffed and topped with a wide choice of toppings from pickles to lox and bacon. The potato will cost you around 5-6$, which some locals say is not really worth it, but after seeing and smelling these on every corner you might just be ready to pay 5$ for a big potato. 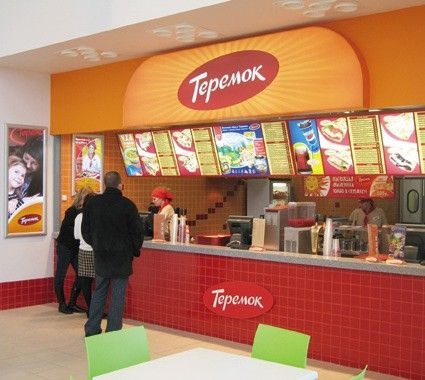 Teremok, which means something along the lines of fairytale house in Old Russian, is a kiosk chain in Moscow that serves blinchiki (Russian crepes) with a variety of scrumptious fillings. The Teremoks are brown on the outside and orange on the inside, the food itself is simplistic and a quick fix for both salty and sweet cravings. Amongst the filling choices are lox, butter, jam and even caviar, all this for the street food price of 50 rubbles, roughly 2$ a crepe. Most often amongst the kiosks you will encounter dusty huts covered with old looking pictures of ice cream bars. 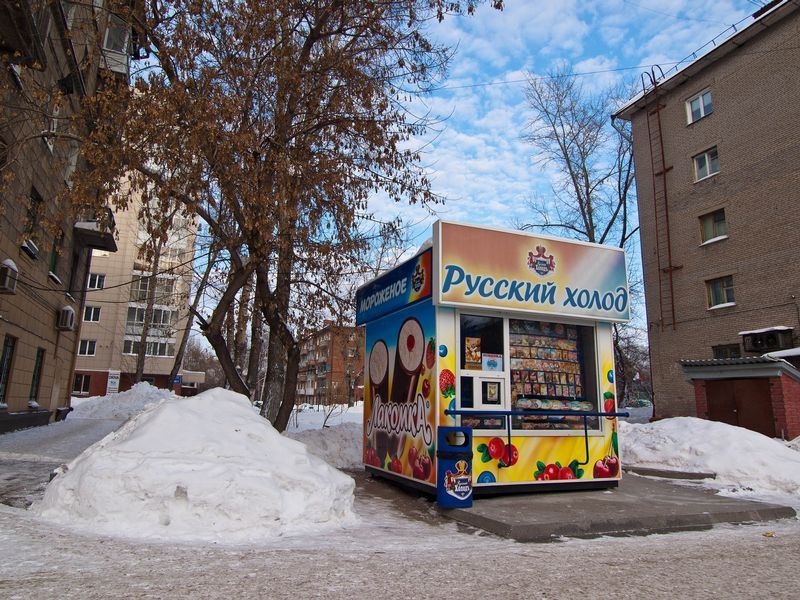 Do not shy away from the sight, Russians love to indulge in ice cream year round and for that reason alone the ice cream sold on the street is superior in quality and almost soviet in price. Meaning you pay around 1$-2$ for an ice cream and the taste and quality of the ice cream vastly exceeds that of mass produced western ice cream. 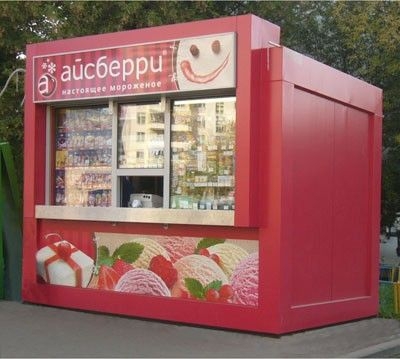 In the hot Moscow summer months you’ll notice these booths by the eager lines formed in front of them. If you’re visiting Moscow in the summer months you are bound to see large barrels in the middle of the street with the word “kvas” plastered across them. Kvas is a very old and traditional Russian malted rye soft drink. It’s slightly sweet and usually flavoured with berries or herbs. Although it is a not a drink that everyone will love, it is definitely a drink that every tourist visiting Russia should try. It is best when consumed cold, from a street barrel on a smoldering hot day. However if your visiting Moscow in the winter months don’t fret, Kvas is available in almost every grocery store and restaurant around the city.